If you follow our activities then you may have noticed recently that our UAV Services Group has been making great strides in delivering UAV-based data collection solutions to a variety of clients in several industries. 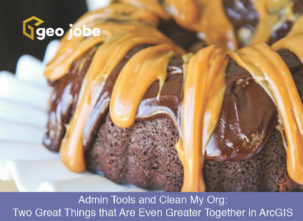 Most notable, some interesting work with clients in construction, site development, and grading has been very active. Traditional methods of calculating 3D measurements and stockpile analysis typically involves a manual field survey capture process which is often time consuming, unsafe, and potentially disruptive to a business. By employing newer mehtodologies and technical advances, improvements have been made to the traditional measurement process. GEO Jobe has proved recently that UAV data capture can be even more accurate than terrestrial LiDAR scanners which can often overestimate volume calculations. 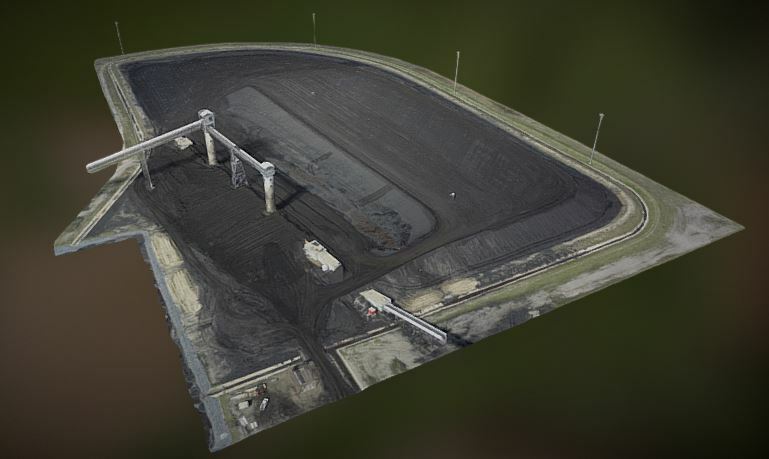 For example, the team has determined that by flying stockpiles with UAV, 3D point cloud data can be generated to capture side and top surfaces of piles more accurately (See image below). 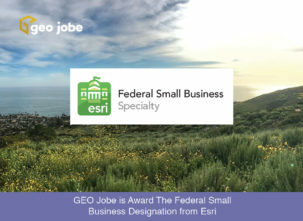 The GEO Jobe UAV team has been busy working up 3D and point cloud data to perform analysis in 3D to create accurate, high resolution models and conduct volume calculations and analysis. 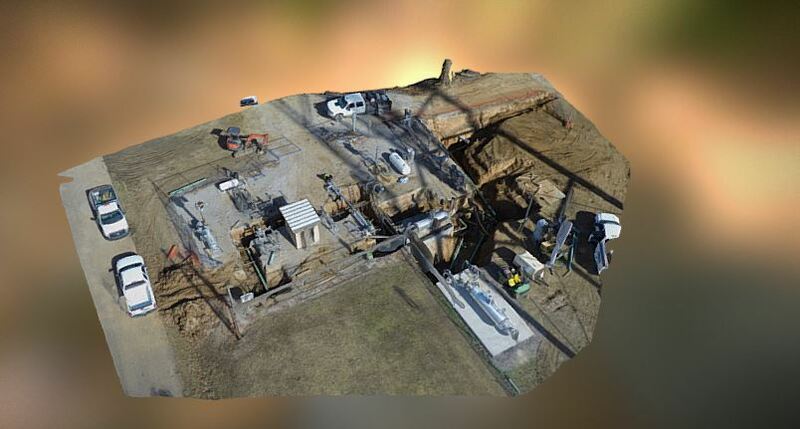 A strength of the team has been conducting research and developing cutting-edge practices for generating high resolution 3D models from UAV derived point cloud data. Additionally, they are realizing tremendous benefits in performing 3D analysis and volumetric calculations from these data. The following are some of the recent projects where the team has employed their analysis for some impressive results. 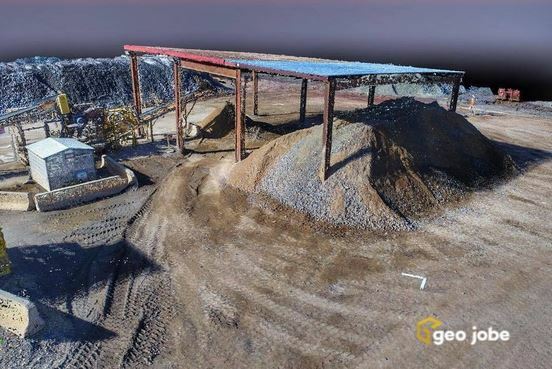 3D model of Stockpile – By modeling this stockpile, we were able to calculate volume even though it was directly under this shed – that’s some mad flying skills!! 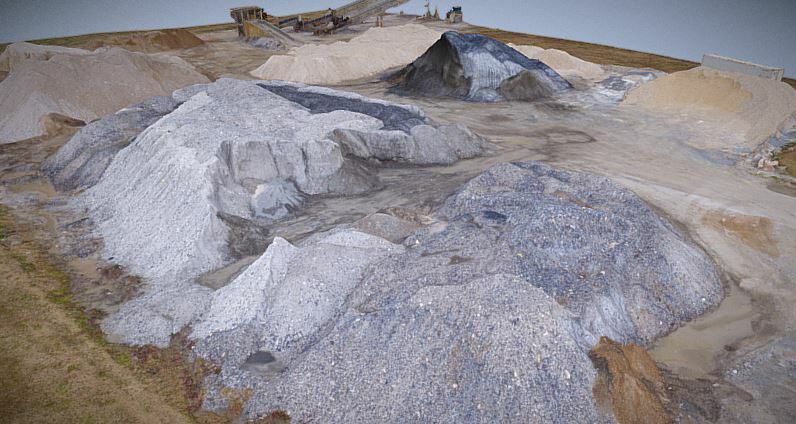 Even though this stockpile was covered and obstructed by the shed canopy, we still were able to model it and provide the 3D point cloud for calculating its volume. In addition to the derivative data products, analysis and reports delivered the clients can also obtain updated ortho photography and digital basemaps for future mapping, digital contour map layers, DEM and 3D data products.